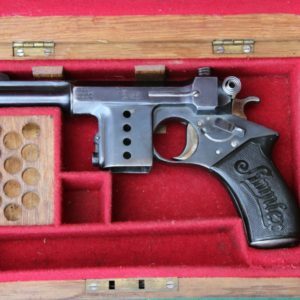 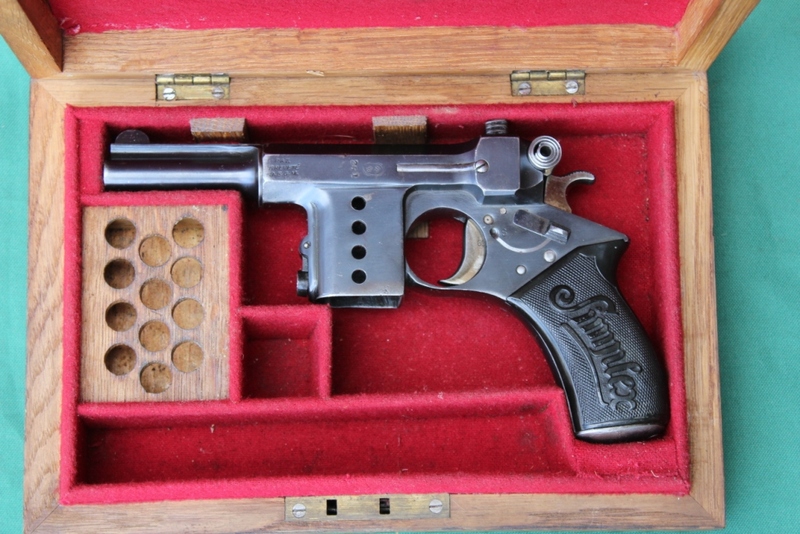 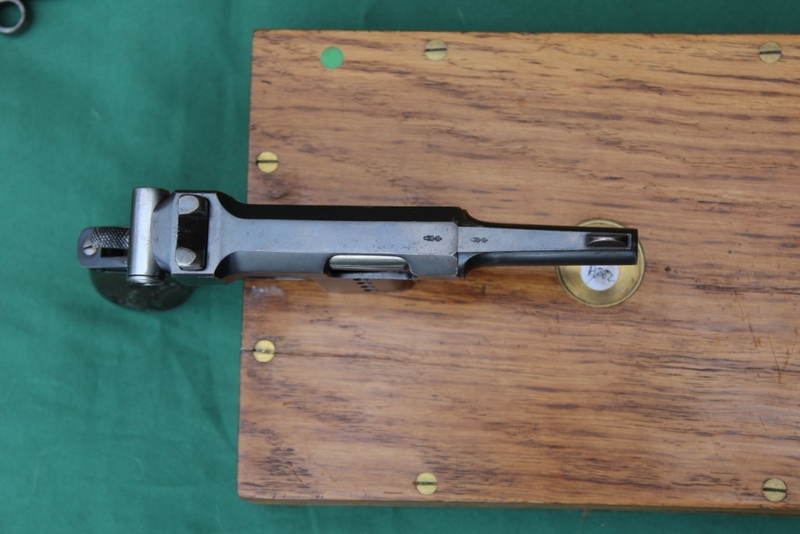 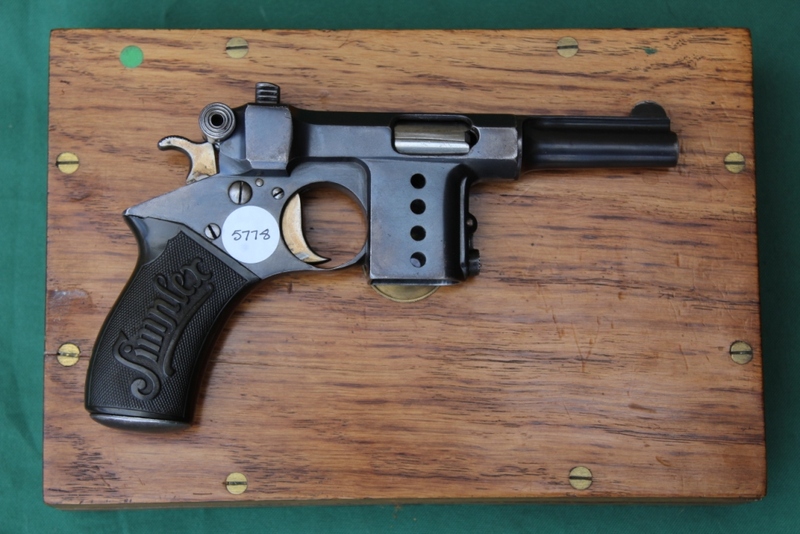 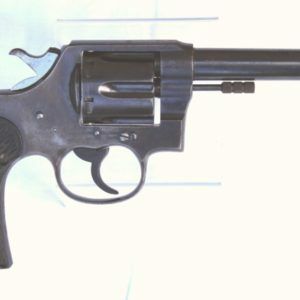 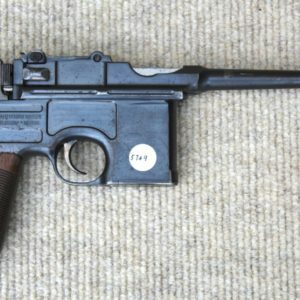 A rare and unusual 8mm Bergmann Simplex automatic pistol, circa 1910. 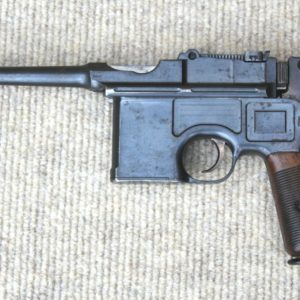 This pistol bears the Theodor Bergmann mark, German pre-World War I proof marks together with a mysterious ‘O’ surmounted by an arrow in a stamped circle to the right side of the action. 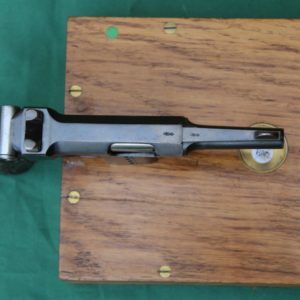 It retains most of its original finish with one or two small blemishes; the bore is very good. 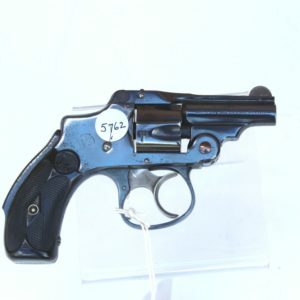 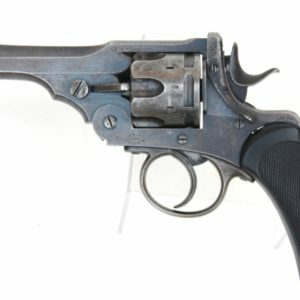 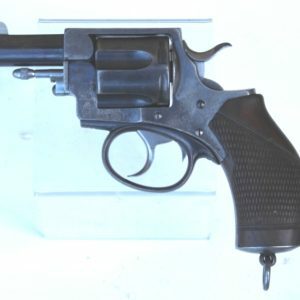 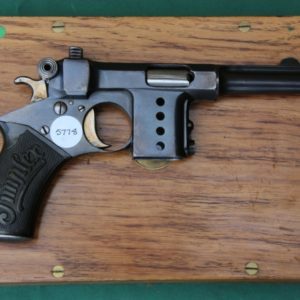 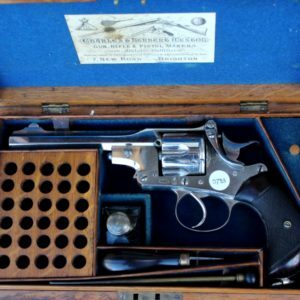 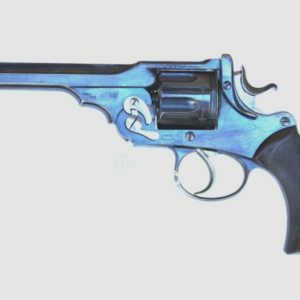 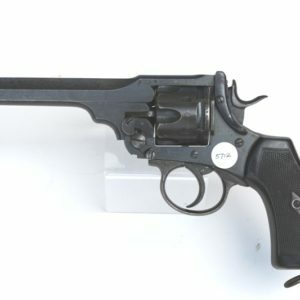 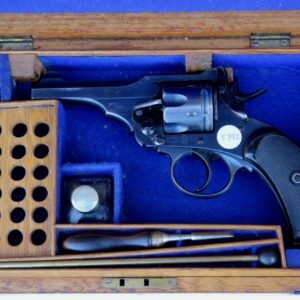 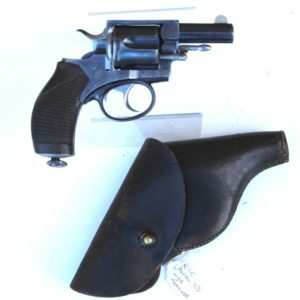 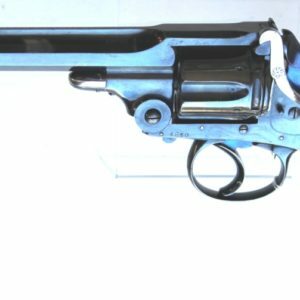 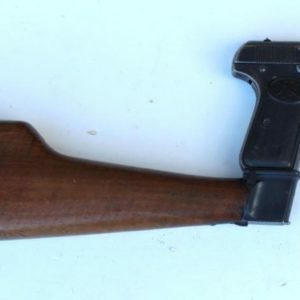 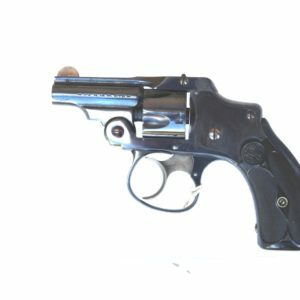 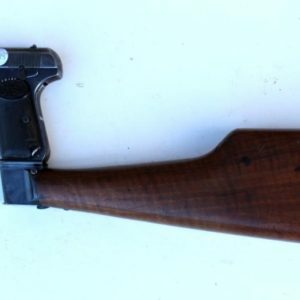 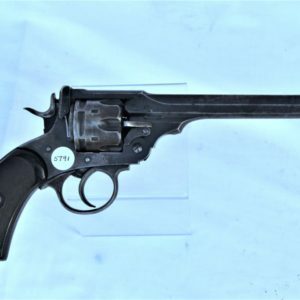 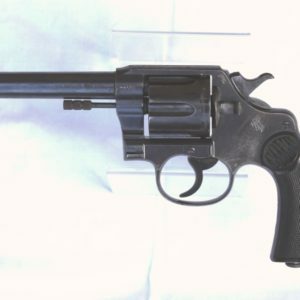 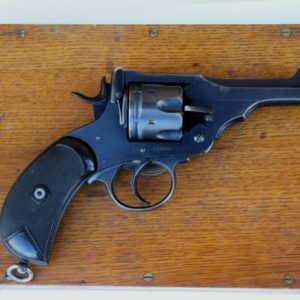 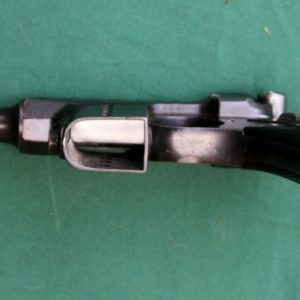 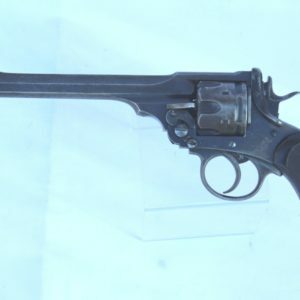 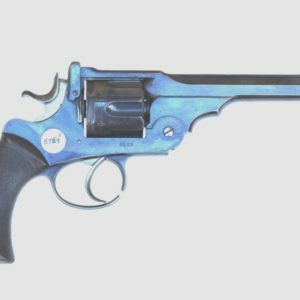 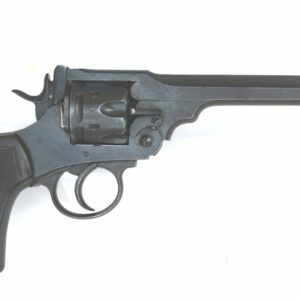 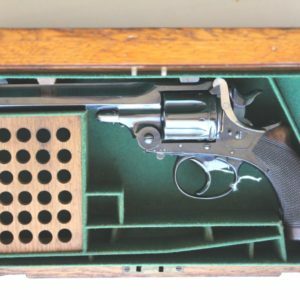 Although it is believed that these pistols were manufactured up to and including the first World War, they are very scarce – we have seen three to date. 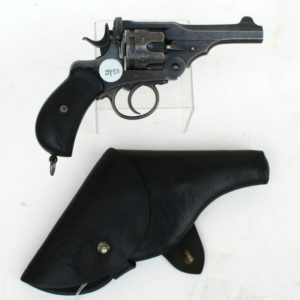 Category: Section 5, can be held under Section 7.1. 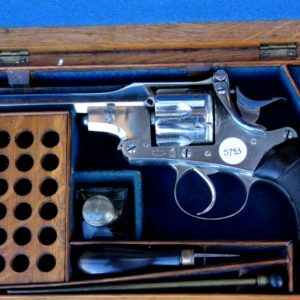 Will require an Export Licence to ship abroad.